Brown-Boveri Gas Turbine 18000, passes Chippenham in 1957. 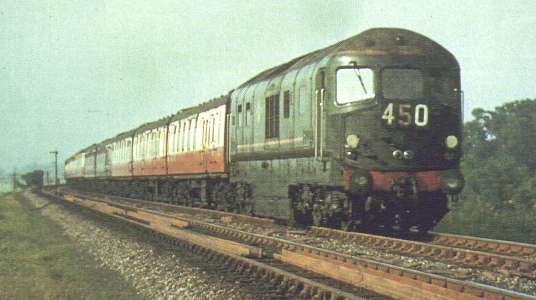 The Great Western Railway ordered two such loco's, this one from its Swiss makers and another from Metropolitan-Vickers, for comparative trials in the late 1940's. Brown Boveri Switzerland for G.W.R. Motors; Four independantly mounted motors with spring drive.